7) SHOW YOUR SUPPORT: STARRING CARA! Every year my mom and I enjoy hosting a wine and cheese fundraiser for LiveWorkPlay, but not everyone can make it out to the farm in Russell for the party, so I'd like to get some donations from other people too! 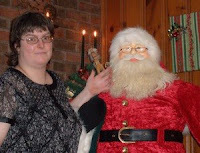 LiveWorkPlay helped me move out on my own and get a job that I really enjoy, so please support me and other people with intellectual disabilities by making a donation to my special fundraising page. There will never be another week like it - the Global Forum for Inclusion and the 50th Anniversary Conference of the Canadian Association for Community Living took place over the course of five days right here in Ottawa from November 17-21. As the English language Ottawa area affliliate for Community Living Ontario, this was a great opportunity for LiveWorkPlay to add a local flavour to these events by contributing as volunteers, presenters, and hosts. Volunteers contributed at the registration table, handing out translator headsets, and simply being handy to assist organizers and delegates who arrived from all over the world. LiveWorkPlay was also involved in two of the conference breakout presentations. Jennifer Harris (pictured) presented on self-advocacy and decision-making in a session co-moderated by Julie Kingstone, and Dan Patton from MBNA/Bank of America presented on the employment partnership with LiveWorkPlay in a session moderated by Keenan Wellar. SMILE participants also hosted two social events for self-advocates on Thursday and Friday evenings. 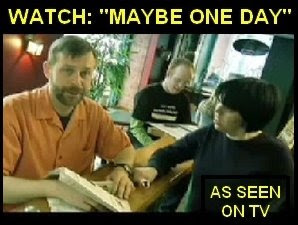 Thursday evening was also made special by the inclusion of the LiveWorkPlay "Maybe One Day" public service message at the conclusion of the Sprout Touring Film Festival Ottawa edition. 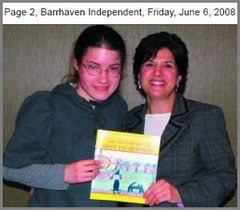 The CACL also released the 2008 Report Card on Inclusion. While there have been many positive advancements for people with intellectual disabilities, there were also some difficult findings. 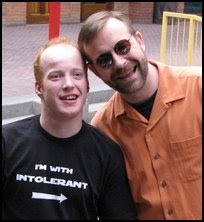 This included the disturbing revelation that almost half of the Canadian public is "not very" or "not at all" comfortable being around people with intellectual disabilities. 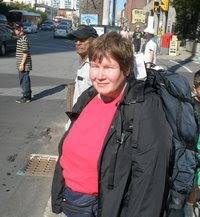 Other highlights (or lowlights) of the report include: slightly more than 50% of people with an intellectual disability reported that they have little or no control over decisions about their everyday activities; unemployment for people with intellectual disabilities sits at 70%; adults with intellectual disabilities are three times more likely than non-disabled Canadians to live in poverty. These findings are understandably upsetting to anyone concerned about building healthy communities. For the LiveWorkPlay organization, its c onstituents, and their networks it is a call to action. There is much work to be done to spread the basic message of inclusion, and we must do more involve, engage, and educate the general public about the benefits of welcoming people with intellectual disabilities as included citizens. Those who take up the challenge are not working alone! The United Nations Convention on the Rights of Persons with Disabilities now has more than 80 signatories (including Canada) and has been ratified by more than 40 countries, not yet including Canada. 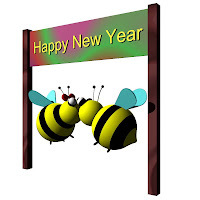 If you attended last year's awesome event in the ballroom of the Crowne Plaza you left hoping for more of the same to ring in 2009. Well, you wanted it, you got it! Sticks n Stones is back to keep the dance floor rocking. The one significant change for this year will see the buffet being replaced by a plated rib steak dinner, which means no tables to clear off the dance floor, and more time to celebrate! 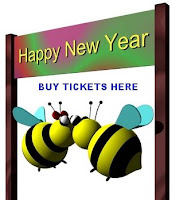 To purchase tickets to the New Year's Eve In Ottawa ballroom party go to NewYearsEveInOttawa! What's also new for this year is the private members-only penthouse party! 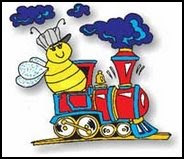 There will be a buffet dinner in the penthouse foyer, and DJ Paul "Bee Diddy" Hamilton will be spinning your requests all night long, and after dinner penthouse guests are also welcome to check out the ballroom. To purchase tickets to the penthouse party you must be a member of a Journeys or SMILE family, a volunteer, or a staff member. Qualified purchasers can also order tickets for guests they would like to bring along to the private party. For members-only tickets please click here. This year's Halloween Family Fun Night event was made all the more special in that it was held for the first time on October 31. 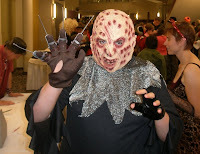 The banquet room at the Hampton Inn was filled with costumed Journeys and SMILE participants, parents, volunteers, and staff. Activities including celebrity Match Game, Spooky Sights & Sounds, and a Murder Mystery that resulted in Daniel Harris being whisked away by Batman! The evening concluded with a variety of entertaining and educational experiments conducted by Professor Jeff Manthorpe of Carleton University. It all ended in a big bang...you'll need to watch the video to get a feel for it! Next up is the LiveWorkPlay Holiday Party on December 19. Please register online by December 15. On November 21, representatives from the Canada-Ontario affordable housing program announced funding recipients arising from a public request for proposals. A plaque was presented to LiveWorkPlay co-founders Keenan Wellar and Julie Kingstone at a special ceremony hosted by the McLean Housing Cooperative in Ottawa. LiveWorkPlay is to receive $700,000 towards the creation of 7 affordable ho mes. The funding is expected to cover about 2/3 of the capital costs, so there is plenty of fundraising work that remains, but this major contribution means that LiveWorkPlay can help more people and more quickly than would otherwise be possible. Details are still emerging, but the Ontario Ministry of Community and Social Services has also committed to providing support dollars to assist in supporting those living in the affordable homes. Work on the LiveWorkPlay proposal started back in 2006. The process for obtaining funds from the program is challenging, and also highly competitive. "This is a big step for LiveWorkPlay," said Chair of the Board Wendy Mitchell. "This is work that needs to be done, because people with intellectual disabilities simply do not have access to affordable housing, and we are pleased to be making a difference." The annual LiveWorkPlay Family Conference provides an opportunity for people with intellectual disabilities and their family members to discuss challenging topics in an intimate setting with support from staff and community experts. This year's special guest was Barrister Solicitor Heather Perkins-McVey, a n experienced courtroom lawyer specializing in areas that include criminal defence and mental health law. People with intellectual disabilities often fall victim to misunderstandings by law enforcement and the justice system, and it is important that they can protect themselves by exercising their basic human rights. 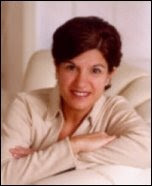 As explained by Ms. Perkins-McVey, police and other law enforcement officials receive significant training for interacting with various populations in the community, but not every individual will have specific experience communicating with people with intellectual disabilities. Adding to this challenge, people with intellectual disabilities often seek to please authority figures, and may try to provide answers that are pleasing rather than accurate. SHOW YOUR SUPPORT: STARRING CARA! After reading this blog you may find yourself wondering how it is possible t hat so much can be happening with a small organization like LiveWorkPlay. It takes a combination of dedicated volunteers, staff, board members, families, and community partners to make it happen. And it also takes money, of which there is simply never enough. LiveWorkPlay has a very short list of personal donors, but you can help change that! Making a donation has never been easier - it can be done as a single contribution, or better still via a monthly deduction. Just $8.33 per month results in a donation of $100 a year! The United Way campaign is quickly coming to an end, and a directed contribution to LiveWorkPlay is a great way to get involved. 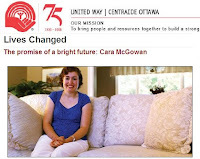 The United Way is currently supporting both the ACES and Journeys programs, and recently featured a story about former Journeys participant Cara McGowan. We hope you have enjoyed this 25th edition of LiveWorkPlayNews. If you have received an email about this blog in error and/or you would prefer not to receive future LiveWorkPlayNews messages, simply click here and follow the simple instructions. That same web page can also be used by newcomers who would like to join LiveWorkPlayNews, so feel free to share the address with friends, colleagues, and family who might like to subscribe. Volunteer organizers Pat McFadden, Paul Sheldon, and Jack Murphy sold out the LiveWorkPlay golf tournament for the second year in a row. 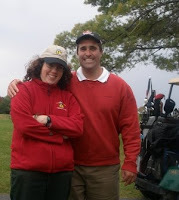 144 golfers teed off on the afternoon of September 30 and enjoyed a round of golf and many exciting contests, followed by a banquet at GreyHawk Golf Club. 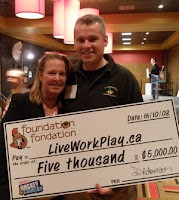 It was the first fundraiser of 2008-2009 for LiveWorkPlay, and thanks to a $4000 sponsorship from Marcomm, the event brought in more than $17,000! This includes more than $2000 raised in about 30 minutes through a short live auction that followed dinner. "One goal for next year is to include more sponsors," said Mr. McFadden. "We will be inviting businesses big and small to get involved as hole sponsors and looking for other creative ways to continue building this tournament. 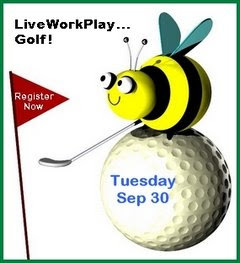 LiveWorkPlay is a great cause and we were pleased to see so many companies and golfers returning from last year." Get a flavour for the spirit of the day with selected tournament video highlights. 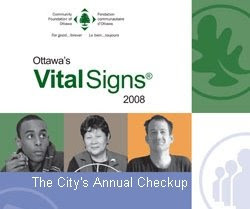 Vital Signs is an annual community checkup conducted by community foundations across Canada that measures the vitality of our cities. 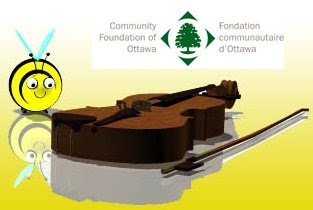 The Community Foundation of Ottawa released this year's edition on October 7. "The report raises some key issues for the residents of Ottawa to consider as they make various important decisions, whether they’re thinking about making philanthropic donations, volunteering in the community, or preparing to vote in federal, municipal or provincial elections,” said Barbara McInnes, Presiden t & CEO of the Community Foundation of Ottawa. “The goal of producing this report each year is to learn, share and inspire community conversation and debate, and this year’s report certainly provides plenty to talk about." LiveWorkPlay was honoured to help tell the story of Ottawa's housing situation in this year's Vital Signs. The On Our Own Together Too transitional housing program was featured as "an innovative pilot project designed to address urgent needs resulting from the shift away from institutional living and the dilemma faced by aging parents of people with disabilities." Featured prominently in the story is a photo of Tim Siebrasse, who graduated from OOOT-Too in June and enjoyed a meet and greet with Community Foundation of Ottawa staff and community partners on October 8. 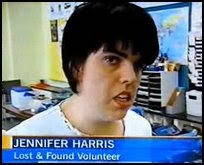 "I'm looking forward to moving into a place of my own," said Tim. Launched in October 1998, the Sens Foundation provides direct financial aid to organizations within the eastern Ontario and western Quebec regions that service children and youth in the areas of education, health, and recreation. On October 16 the foundation celebrated contributions totalling more than $1 million, including $5000 for Journeys. LiveWorkPlay co-founder Keenan Wellar attended the ceremony (pictured with Sens Foundation Communications Coordinator Colleen Clark). "Our history with the Ottawa Senators Foundation goes all the way back to 1998," says Keenan. "We were developing our first ever summer learning program [ACES] and they came through with a grant that got it off the ground. It's great to be back here ten years later accepting support for Journeys, which grew out of the original ACES program." There was a massive turnout for the Orientation and Annual General Meeting on September 26. About 95% of Journeys and SMILE participants and their parents were in attendance. The Orientation featured a new comprehensive information package with details about all the opportunities and events of the year. At the AGM members discussed highlights from 2007-2008 and took a look ahead to 2008-2009. 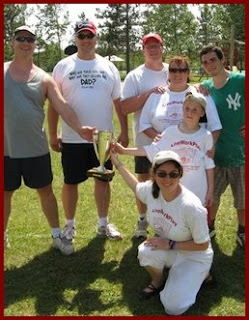 People with intellectual disabilities moving into homes of their own dominated the LiveWorkPlay headlines this past year. This outstanding result came as a result of many years of hard work and extensive cooperation between LiveWorkPlay and families. There was a sad farewell to the evening when Vice-Chair Mitchell Leitman announced the departure of long-time volunteer Susan Bools from the Board of Directors: "For her many years of volunteer service we extend our gratitude to Sue." You can access the minutes and additional AGM information from member events. We hope you have enjoyed this 24th edition of LiveWorkPlayNews. If you have received an email about this blog in error and/or you would prefer not to receive future LiveWorkPlayNews messages, simply click here and follow the simple instructions. That same web page can also be used by newcomers who would like to join LiveWorkPlayNews, so feel free to share the address with friends, colleagues, and family who might like to subscribe. 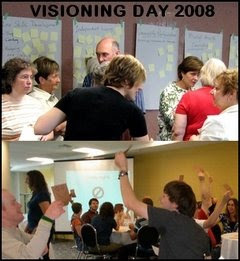 Visioning Day is an important annual tradition at LiveWorkPlay. This year Journeys and SMILE participants and their parents were challenged to come up with priorities for the future and consider difficult choices about how best to allocate the organization's resources. This was about more than theory. With individualized funding the clear trend for the future, families will need to think carefully about their priorities. It will also be important for families to work together and develop new types of partnerships with LiveWorkPlay and other organizations to get the most out of the scarce dollars available. The topic was serious, but the mood was very upbeat. The parents were especially active, creating a big buzz during an exercise where they allocated a sample family budget to their service priorities. The full report of Visioning Day outcomes is now available in the Members Only section of the LiveWorkPlay website. New for this year the annual Summer Blast- Off Barbecue Pool Party started up right after Visioning Day, which concluded in the early afternoon. The weather was gorgeous and the new all-in-a-day format was great! Everyone gathered on the lawn at the Harris household and carried on their conversations from earlier in the day before moving on to have fun in the pool. There was the usual impressive assortment of pot luck appetizers and desserts, and Mike McBride and Jack Murphy had burgers going on the grill all afternoon. The annual Engines of Success Recognition Banquet moved to a new location at the Hampton Inn, providing comfortable surroundings for all 200 guests. Chris Day from CTV Ottawa was the MC of the event. 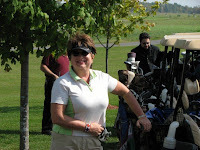 Dianne Garrels-Munro, President of Community Living Ontario, was the special guest speaker. She also took it upon herself to help raise more than $1500 t hrough the sale of door prize raffle tickets! Professor Barry Wellar, CEO of Wellar Consulting, took to the podium to announce the launch of The On My Own Recognition Award (TOMORA). The TOMORAs offer a $100 bursary to any LiveWorkPlay participant who moves to a home of their own. 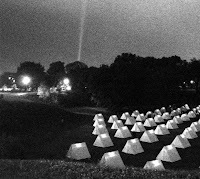 This year's TOMORAs were backdated to include those who moved out last year, and will now continue as an annual award program. 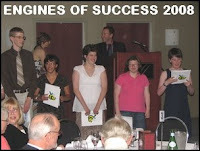 As always Engines of Success featured people with intellectual disabilities front and centre. This year their contributions came mainly via recorded videos, which t hey worked on in the weeks and months leading up to the banquet. They did a fantastic job thanking volunteers, community partners, parents, staff members, and others. They in turn (all 57 of them!) were each recognized for their achievements of the year. Many videos were also utilized to highlight some of the lighter moments of the LiveWorkPlay year, as well as some truly outstanding achievements by individual participants who made challenging life transitions. A special presentation of the "Maybe One Day" LiveWorkPlay public service message (now airing on A-Channel) was given a special showing on the big screen to thunderous applause. And there were more than a few moist eyes in audience for the grand finale slide show! This is the first year of the new ACES summer program format, which features a combination of trip planning, vocational education at MBNA/Bank of America, and overnight travel! Never before has LiveWorkPlay supported an overnight trip for teens, so there was a lot to think about, but the first group of 10 participants who travelled to Montreal from July 9-11 did themselves and the organization proud! Working within a budget, the group got to make their own choices about mode of travel and activities. They decided to travel by bus, and their two major expenditures were to spend a day at La Ronde amusement park and to take in a play featured as part of the Just For Laughs festival. Slava's Snowshow included a wild finale that started with a storm of snow (bits of tissue paper) blown into the audience with industrial fans followed by some giant balls and bubbles that bounced all over the theatre. If it sounds a bit wild and strange...it was! The trip wrapped up with a visit to the Biodome where some special guest lemurs from Madagascar stole the show. The group was very tired but they managed their emotions well as they walked with their backpacks through the streets of Montreal, in and out of the subway, and finally onto the bus for the ride home. The next group of ACES participants is preparing for their own Montreal trip on July 21, and they've already decided on some different activities. You'll have to wait for the next edition of our blog to find out what they were. The Ottawa Senators Foundation helps charitable organizations whose p rograms focus on improving the quality of life for children and youth in eastern Ontario and western Quebec. That's a great fit for LiveWorkPlay and the Journeys program! The Sens Foundation is contributing $5000 to Journeys for 2007-2008. This will help ensure that Journeys remains affordable and accessible to young people with intellectual disabilities regardless of their financial circumstances. 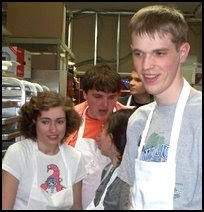 Journeys is a weekly Friday night community participation program for people with intellectual disabilities in high school. It's a great place to make friends but also opens the door to other opportunities for individuals and their families, including participation in LiveWorkPlay conferences, Family Fun Nights, and special events. We hope you have enjoyed this 21st edition of LiveWorkPlayNews. If you have received an email about this blog in error and/or you would prefer not to receive future LiveWorkPlayNews messages, simply click here and follow the simple instructions. That same web page can also be used by newcomers who would like to join LiveWorkPlayNews, so feel free to share the address with friends, colleagues, and family who might like to subscribe. 1) OUR NEW WEBSITE IS ALIVE AT LAST! OUR NEW WEBSITE IS ALIVE AT LAST! 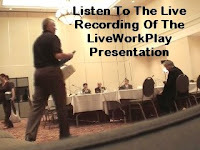 The new LiveWorkPlay.ca went live today and the positive reviews are rolling in! 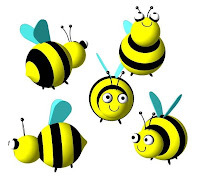 "Easier to navigate" and "I love the new bees" are typical of the comments received to date. Special thanks to Simmetria for their professional support. 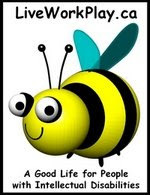 The website content was authored mainly by co-founder Keenan Wellar, but the static design elements (such as the many "bee banners" that grace the top of each page) were developed by Simmetria in accordance with the LiveWorkPlay vision for the site. The new website is fully functional with the exception of the "Members Only" areas which are still in development. You are invited to drop by and explore. Keenan is actively seeking feedback, particularly if you notice any errors. With more than 300 pages of content, there is bound to be a boo-boo or two! It's official! On May 1, Community Living Ontario Executive Director Keith Powell welcomed LiveWorkPlay to the Community Living Ontario Federation. There will be a formal presentation of a Certificate of Affiliate Membership at the Annual General Meeting in Markham on June 14. 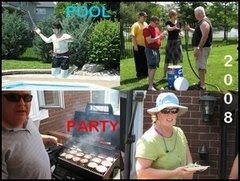 Community Living Ontario is a provincial association (founded 1958) that promotes citizenship, belonging, and equality of people who have an intellectual disability. There are 112 member associations (make that 113!) and over 12,000 individual members. The goal? That all persons live in a state of dignity, share in all elements of living in the community, and have the opportunity to participate effec tively. 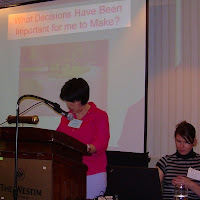 Community Living Ontario envisions a society where people who have an intellectual disability belong and feel respected. 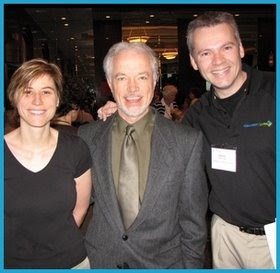 Why did LiveWorkPlay join the Community Living Ontario family? Aside from sharing remarkably similar goals and vision, the primary motivation is to reach out more effectively. LiveWorkPlay has tremendous internal strength and a growing local profile in the Ottawa community, but to effect societal change, we need to be a part of something much bigger than we can ever hope to be on our own. 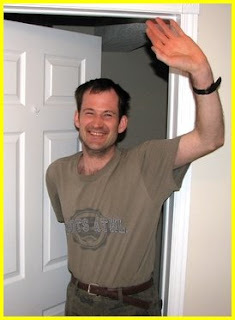 There will be many new doors opened for LiveWorkPlay and the people we serve, with opportunities for learning and sharing with other agencies, people with intellectual disabilities, family members, and professionals on a provincial, national, and international scale. The project began back in October with discussions about a follow-up to two previous self-advocacy group video productions, ODSP & ME and SELF-ADVOCACY & ME. This time the focus would be more about what the public needs to learn, and less about what people with intellectual disabilities need to learn. But we don't want to give away the plot before you have a chance to see it yourself. If all goes well, there will be a broadcast launch in June. But for now you can get a sneak peak at the making of our public service message "Maybe One Day." This project was financed in part by a grant from the Community Foundation of Ottawa. LiveWorkPlay is a proud member of the Heartwood House community for a variety of reasons, including access to challenging and rewarding volunteer positions. This includes being part of the huge team of volunteers drawn from all 15 Heartwoo d House organizations that participate in supporting the twice-a-year OC Transpo Unclaimed Items Sale. The spring sale took place on May 3, and CTV Ottawa featured a story about the sale that included interviews with SMILE participants. Volunteers from LiveWorkPlay are also part of the daily team that serves the public at the lost and found, returning everything from bus passes to musical instruments to anxious and grateful members of the public. The fourth annual Roger Dodger volleyball tournament for LiveWorkPlay is hosted by the Albert family June 6-8 at the Perth Tent and Trailer Park. The re is lots to do for fans and players alike, and supporters are welcome to attend all or part of the festivities. Contact Ron Albert for more information! If you can't make it to the event itself, you can make a donation through Sarah Albert's giving page. Part of the fun includes food and gear, such as hats and t-shirts. This year the meal and gear will be more than just souvenirs, thanks to sponsorship support from Daquin and Paul Villeneuve from Giant Tiger. The new Services for Persons with Developmental Disabilities Act, 2008 replaces the existing Developmental Services Act, which is almost 35 years old. For additi onal information including a link to the entire Bill 77, visit the Ministry of Community and Social Services website. This new legislation has the potential to support many changes that LiveWorkPlay and its constituents have been requesting for many years, including increased flexibility and fairness regarding the manner in which government funds are distributed to agencies, individuals, and families. The challenge from here is to ensure that the process of these transformations brings the intended result of a better life for people with intellectual disabiltiies. 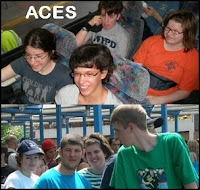 Journeys and ACES are innovative LiveWorkPlay programs that serve youth with intellectual disabilities from age 13 to a maximum of age 21. In addition to the immediate benefits of developing new friendships and essential skills for community living, these companion programs also provide an opportunity for LiveWorkPlay to develop relationships with families. There are significant barriers to successful transitions from life in high school to life in the community, and that very issue was one of the motivations that gave birth to the entire LiveWorkPlay organization. 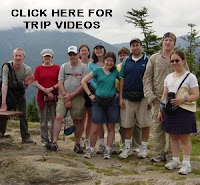 By starting this process during the high school years and offering insights learned from more than a decade of supporting adults with intellectual disabilities, LiveWorkPlay can offer Journeys families planning assistance that is difficult to find elsewhere. Journeys and ACES have never had benefit of government funding support, so the United Way/Centraide Ottawa contribution is of critical importance. While the combined support of $12,000 per year covers only a portion of the costs, the resulting annual deficit is vastly reduced and can be offset by fundraising activities such as the MBNA Recipe for Success Culinary Adventure and Charity Auction. Journeys participants recently had a blast with a special workshop hosted by Lara Vaarre of Truffle Treasures. The group made waffle bowls and gelato as well as chocolate dipped strawberries! Please don't call up Truffle Treasures looking for your own workshop, the time-demanding activity is a special treat that Lara offers exclusively to LiveWorkPlay! 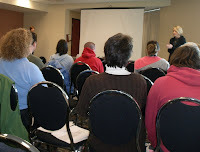 Visioning Day will be held at the Hampton Inn Ottawa at 9:00am sharp. For those who are intersted, we'll leave from there for a BBQ feast at the pool party, which will once again be hosted by the Harris family. These are both free events - but Visioning Day is a pre-requisite for attending the pool party! First we work, then we party! The annual Engines of Success Recognition Banquet will also be held at the Hampton Inn Ottawa. This is an important night for recognizing our dedicated volunteers, celebrating the achievements of Journeys and SMILE participants, and thanking partners, funders, and sponsors. We hope you have enjoyed this 19th edition of LiveWorkPlayNews. If you have received an email about this blog in error and/or you would prefer not to receive future LiveWorkPlayNews messages, simply click here and follow the simple instructions. That same web page can also be used by newcomers who would like to join LiveWorkPlayNews, so feel free to share the address with friends, colleagues, and family who might like to subscribe.